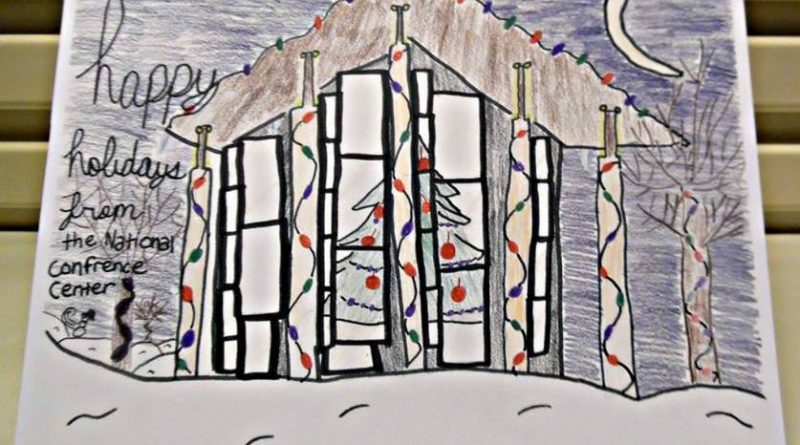 Seldens Landing Elementary fifth-grader Maddie Tran’s design is on the cover of the National Conference Center’s holiday card. 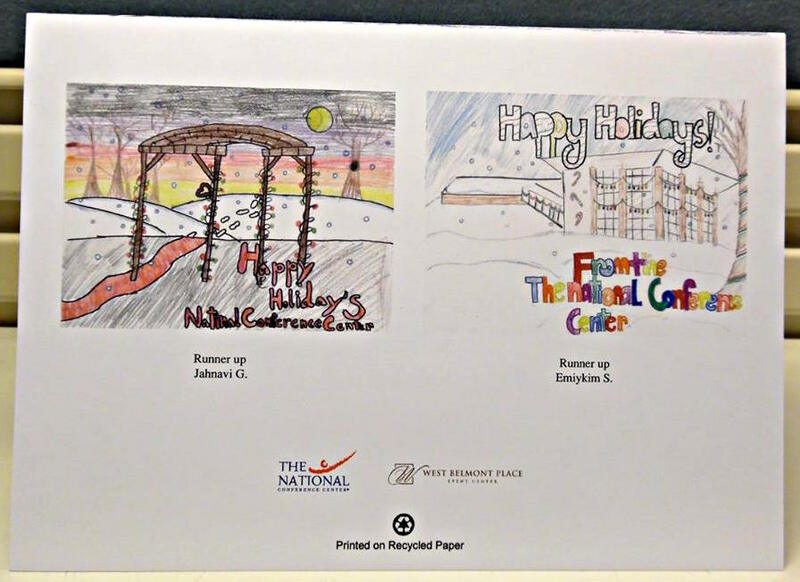 Drawings by Seldens Landing Elementary School fifth-graders will go to hundreds of homes this season as the featured artwork on the National Conference Center’s holiday card. Every year for the past several years, the students in Stephen Loya’s art class have created holiday cards for the sales and executive team to use during the season. More than 30 students designed cards this year, and the staff of the NCC voted on the top three cards. 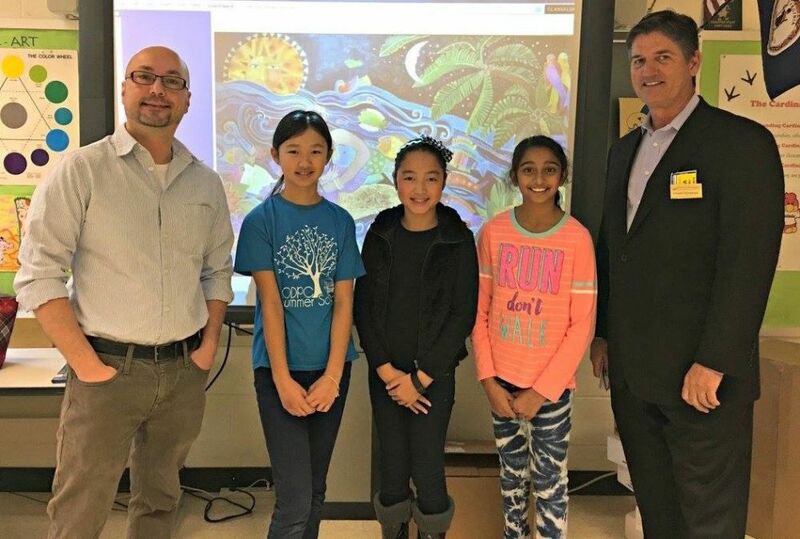 The design that received the most votes was created by student Maddie Tran; and students Emily Kim and Jahnavi Guddetti were runners up. 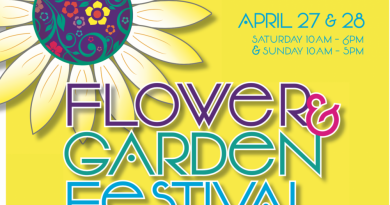 The conference center typically runs one design on the card, but this year, the card will include three: Maddie’s drawing on the front, and Emily’s and Jahnavi’s on the back. Each student with a winning design received a gift certificate to Target. Seldens Landing Elementary is in Lansdowne, less than a mile from the NCC.